Deathly Hallows Action Wallpaper: Bellatrix Lestrange. achtergrond made from the DH part 2 Action poster featuring Bellatrix Lestrange. 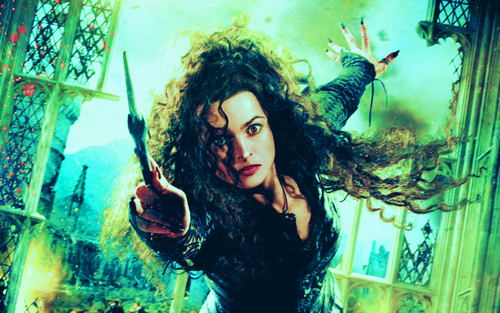 HD Wallpaper and background images in the Bellatrix Lestrange club tagged: harry potter and the deathly hallows part 2 poster action widescreen wallpaper bellatrix lestrange helena bonham carter. This Bellatrix Lestrange wallpaper contains concert.